Valentine’s Day is just around the corner and whatever your plans, the holiday is the perfect excuse to go bold and add some fabulous red pieces to your wardrobe. Whether its a chic dress, a bold statement piece or the perfect shade of lipstick, red is a color that works on every skin tone and is guaranteed to make you feel fabulous. While we may be past the age of exchanging Valentines, the holiday is a great excuse to don a little red and celebrate the holiday in style. 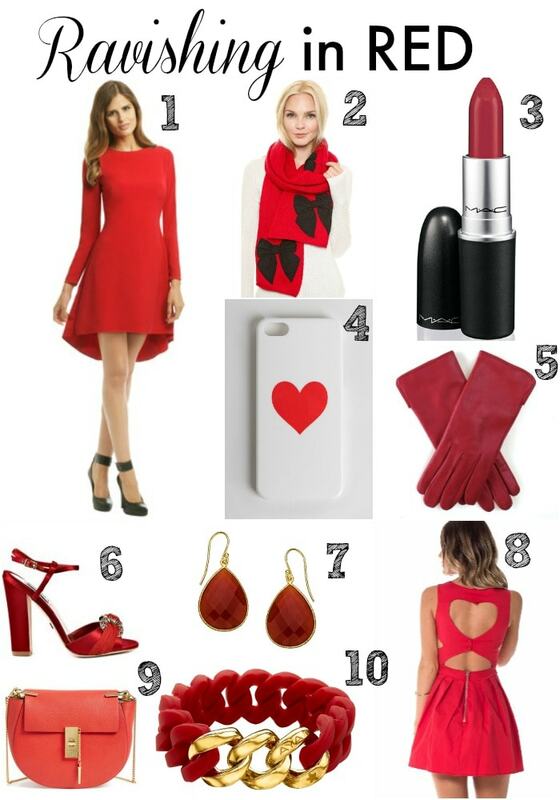 Here is a roundup of some chic red pieces sure to keep you feeling festive and looking fabulous for Valentine’s Day.